We're in the final stretch of 2017 and it is time for our annual update on Move for Hunger. If you've never heard of Move for Hunger it's a not-for-profit that is committed to food rescue and mobilizes Movers like you to help! Movers that participate collect non-perishable food items which they then deliver to local food banks. There are so many creative ways to help. In this blog post, we will feature some of our favorite stories from this year. If you would like to learn more, watch this video featuring Move for Hunger at the Do Something awards. This is exceptionally true in the way they give back to the local community. The Lifetime Food Drive is a year-round project and is a part of each and every move the company performs. “We believe that every business should take part in giving back to the community in some way. When people move cross country, they are limited on what can go on the shipping truck. One of the things people tend to leave behind, is their pantry content, nonperishable foods. Helping people move for over 20 years, we've seen more and more good food go to waste and left behind, with no use. Lifetime Moving has been collecting and donating food with Move for Hunger for over three years. They’re impressive. Not only have they helped donate thousands of pounds of food to the local community, but it’s been incredibly rewarding to the employees and customers. The program has expanded and now the staff has added a huge collection box in the front office, which they personally replenish and then donate every month. In Connecticut, where Kaster Moving Company is based, an estimated 500,000 people are at risk of going hungry and one out of five of those people is a child. Kaster Moving company decided to do something about it. “It didn’t take much to sell us on it,’’ said Gail Carey, a relocation coordinator for Kaster. “When our sales people go out, they explain what the program is and what we’re trying to accomplish. We’ll remind them again when we send them their confirmation documents. We bring a box for the shipper to pack any unwanted food and deliver it to the Food Bank. It is just down the road so it’s convenient for us to drop it off." 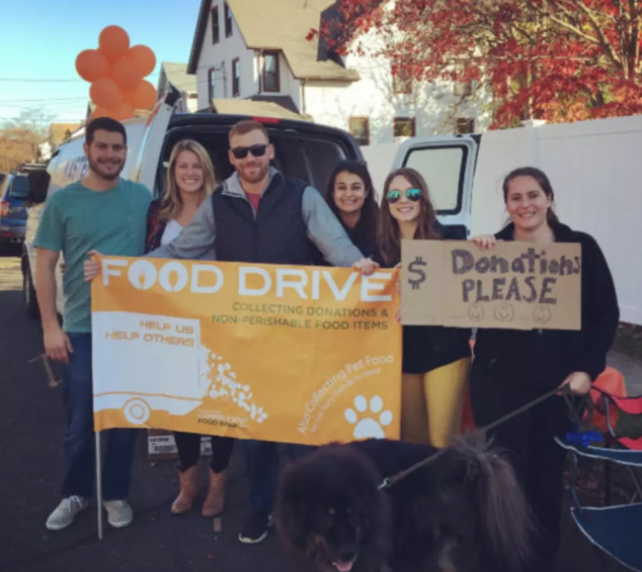 Since 2013, Kaster Moving Company of Stamford has donated 2,250 pounds of food to the Food Bank of Lower Fairfield County and the Connecticut Food Bank. In the past four years, the 40-year-old business has provided enough food to provide 1,850 meals for their neighbors in need. Every year, Forty-percent of food grown, processed and transported in the United States goes to waste. That's a big problem. Often the wasted food is fresh such as fruit and vegetables. And fresh produce is one of the most sought-after items in a food pantry. One common opportunity to rescue some of that fresh produce is to recover it from large events and that's exactly how Suddath Relocation is partnering with Move for Hunger. The Marine Corp Marathon is one of the biggest events in Washington D.C.. At the conclusion of the race, participants are offered water and food. The leftover bananas were collected, packed and delivered to a local food pantry. 1600 pounds of bananas in total were distributed thanks to Suddath. This was the biggest year ever for Move for Hunger with 1.5 million pounds of food already recovered. They still have 200 Food Drives before the end of 2017. 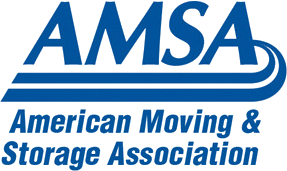 The organization now has over 800 members, which makes up over 20% of licensed movers in the U.S. and Canada. Plus, there's a lot of growth planned for 2018. Besides continuing to grow the network of movers giving back in their communities, Move for Hunger has launched a new initiative. Over 70% of renters don't end up hiring a full service moving company. In communities with high rentals and turnover, Move for Hunger is partnering with large apartment buildings. When renters give 30 days notice on their lease, the leasing agent provides a Move for Hunger bag and collects the food they don't want to move. Within the first 30 days and just 5 properties, over 500 pounds of food has already been recovered. Move for Hunger is always welcoming new moving companies into the organization. It's easy to sign up and get involved. We hope you've enjoyed this update, and are also inspired to give back to your local communities this holiday season!